The decision to sell your home should start by knowing whether you are really ready to sell. You have invested a lot of time and money into your home and it’s your biggest asset. Taking the time to make sure you are ready to sell is an important step. Before you think about selling— it’s important to know your financial picture. Do you have enough equity in your home to make a move? Are you financially in shape to purchase your next home? You can start by contacting your m­­ortgage company to find out your payoff amount. It is also a great time to start the conversation about your next purchase and how much you’ll be able to afford. You’ll also want to get a better understanding of the value of your home and the market conditions in your area. Are homes selling quickly in your area? Is it a buyer’s or seller’s market? Are home values rising consistently in your area? Be an informed seller. 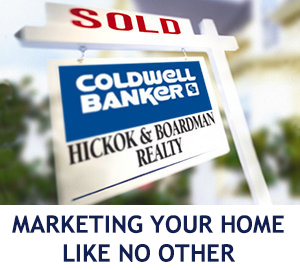 By tapping into the resources provided by Coldwell Banker Hickok & Boardman Realty, you’ll be better prepared for the trends that are affecting your market. Our quarterly Northwest Vermont Market Report, for example, provides demand and pricing trends for Northwest Vermont’s four counties (Chittenden, Franklin, Addison and Grand Isle). Request a free, no-obligation Comparative Market Analysis of your home's value. This is a detailed report of similar properties that have recently sold in your area to provide a more accurate home value estimate. Contact us you would like to set-up an appointment with one of our agents. If you’re considering putting your home on the market, it’s never too soon to prepare. If there are home repairs that you’ve been putting off, now is a good time to start knocking them off the list. As you look around your house, it can be easy to get fixated on the big-ticket items that you think should be upgraded or updated, but renovations and upgrades are rarely recouped in the sale of the home. Unless you believe they will be a hindrance to selling your home, we recommend focusing on cleaning, decluttering, and organizing your home. For tips on getting your house ready read Preparing Your Home Sale. Need a little help? Check out our recommended Home Service Providers to help you get started. Not all companies and Agents are the same. You should have confidence that you’re not just hiring one person – you’re hiring a team. From the marketing and advertising support to make sure your home has the greatest exposure; to the experience and expertise of our Agents. When it comes to selling your home, you deserve to have the team and support to get the job done. Any Real Estate Agent can put your home in the Multiple Listing Service (MLS), our team looks to maximum the exposure of your home by investing in the marketing of your home in all the ways homebuyers search. To find out what your home is worth or for tips on getting your home ready contact one of our experienced agents.